This elderberry vinegar recipe is a great example of how the seasonal foraged fruits can be preserved. The fruitiness of the berries will add instant intrigue to salad dressings, or you can even use the vinegar to flavour cocktails. 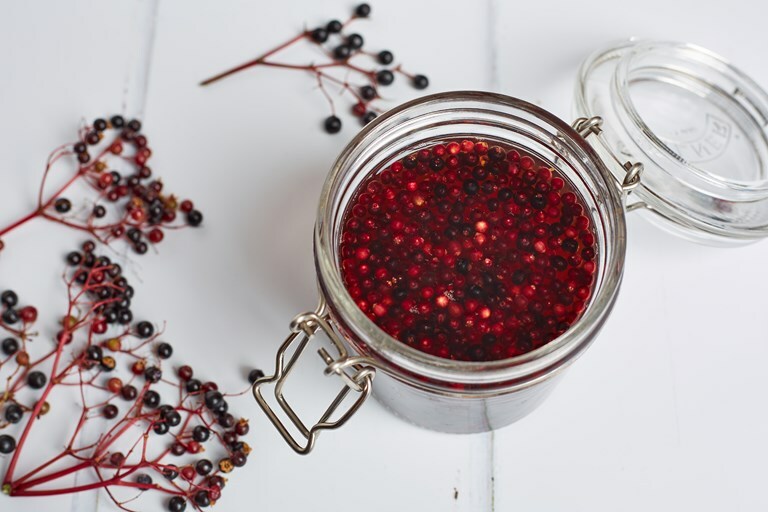 This versatile vinegar is a great way to preserve the rich, fruity flavour of the elderberry all year round. It makes a quick and easy salad dressing or you can even use it to flavour cocktails!